Today I have released a new iOS App, it helps you locate satellites when you are setting up a satellite dish. The live camera view allows you to check for obstructions between you and the satellite. 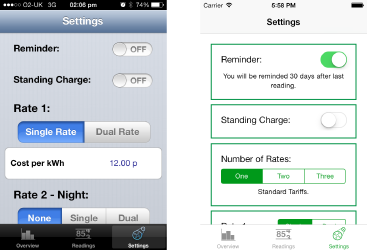 Electric Usage Tracker was updated for iOS 7 today, the design has been given a refresh. 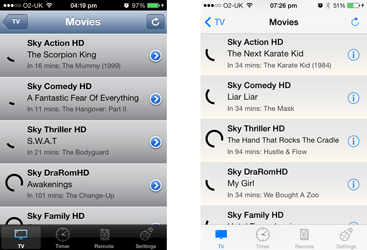 Here you can see the previous version versus the current version on iOS7. With version 1.3 this app has been updated for iOS 7. The garage finder has been improved, and as requested by several people you can now set a reminder for your vehicle service date. This app has now been updated for iOS 7. The UI and particuarly the remote screen has been updated with a new design. I will be updating my other apps for iOS 7 soon. 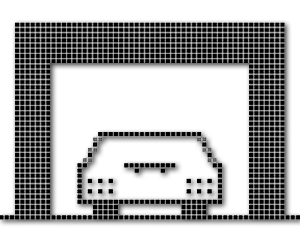 This is a OS X app for keeping your movies on your computer organised. This is an early version, at the moment you can change or get missing posters and fanart, and rename folders. 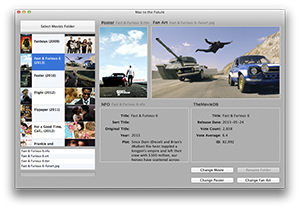 This is useful if you use XBMC or similar to watch movies. I plan to add more features over time, let me know if you have any feedback. MOT Reminder v1.2 adds a new garage finder feature, you can search for MOT registered garages near your current location. You can see a list arranged by distance or view the garages on a map. You can easily call or get directions to any garage. 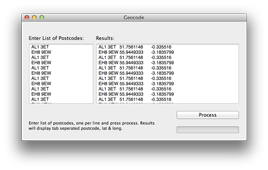 This app is a simple OS X wrapper for using Googles geocode API, it allows you to add longitude and latitude to a list of UK postcodes. The output is tab seprated values so can be pasted straight into Excel. I made this tool for myself and provide it here just in case someone else can get some use from it. Please read Googles documentation regarding their usage and limits of their API.